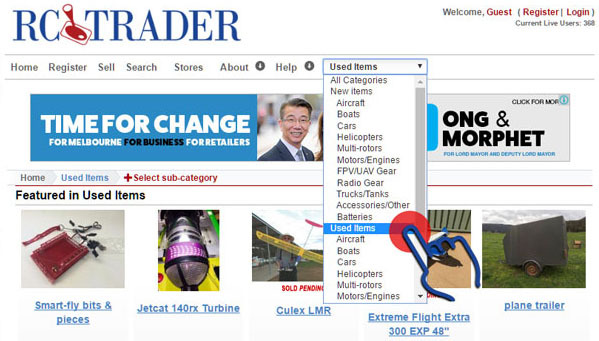 RC Trader - How do I find sub-categories? How do I find sub-categories? Option 1 - Using the Breadcrumb selector. 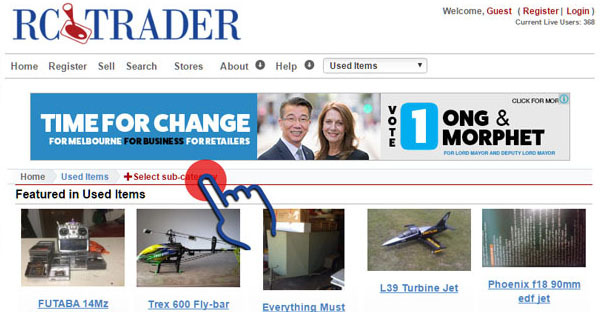 Click on the link "+ Select Sub-Category" in the breadcrumb area. If you are at the lowest sub-category, this option will not be shown. You can always move back up the categories by clicking the name of the preceding category. Option 2 - Using the Navigation Bar Dropdown. Clicking on the navigation bar dropdown will show you all available categories and which category you are in. Remember the two top categories are New and Used, so many categories will show up twice in this dropdown. 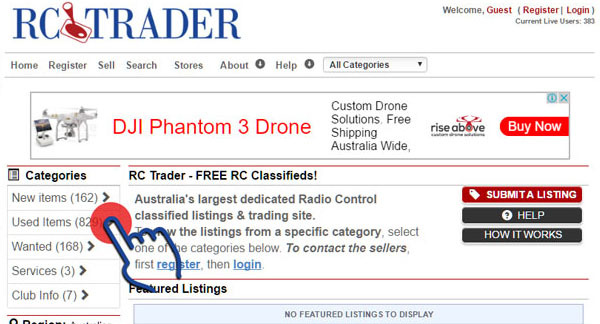 How does RC Trader work?